New Delhi : Car makers Honda on Friday unveiled their European version of the upcoming 2017 hatchback car, similar to North American specification model which was introduced in the first week of August. The major difference between the two models remains with the amber-coloured side markers and twin exhaust pipes at the back. Interestingly, the car unveiled its model 2 weeks before its grand world premiere in Paris on September 29, 2016. As per the carmakers, it will be developed in European factory of the company and will be sold in more than 70 countries. # Honda unveils new 2017 Civic hatchback, two weeks ahead of its grand premier in Paris on September 29. # The car will be sporting a 1.5 litre turbocharged engine capable of producing 174hp. # It will be available with 6 speed manual and also automatic gear box. 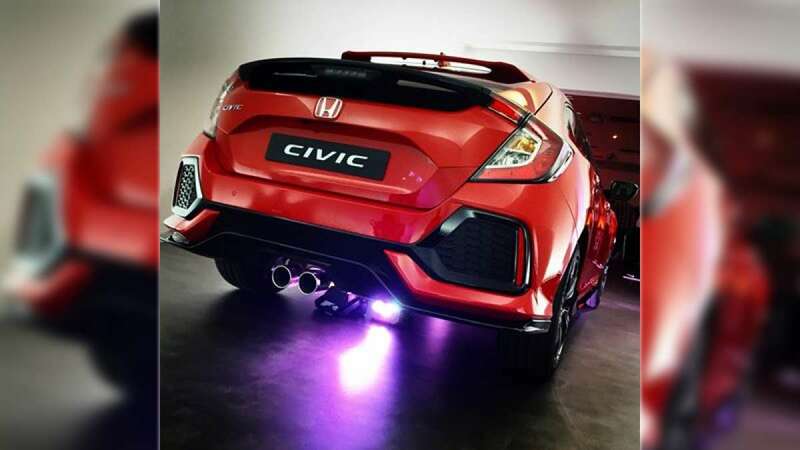 # The sports version Civic Type R model will also be available with 2.0 litre engine producing 300hp. It will directly compete with Ford Focus RS. # Honda will also offer the new Civic Sedan in Europe, but the four-door model will be produced at the brand’s facility in Gebzé, Turkey, with sales to start early next year.